Earlier this month, word broke that Kelsey Grammer is providing some narration for Arrow‘s 150th episode. It’s a milestone for the series, but Grammer’s guest vocals isn’t the biggest news to come out of the episode. The Star City Slayer has arrived, and he’s targeting all of Team Arrow’s current and former members in the first promo for Arrow episode 7.12. 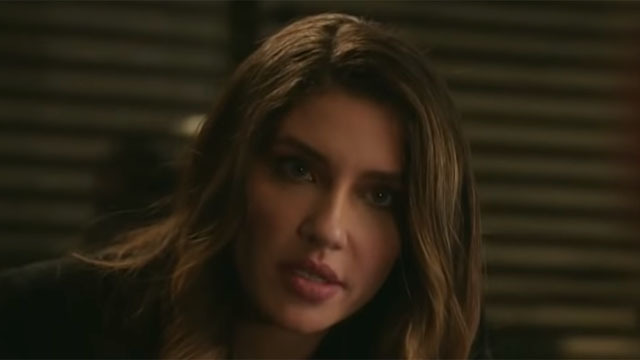 As seen in last night’s episode, both Laurel Lance and Dinah Drake received threatening notes from a stalker. It turns out that the stalker isn’t all talk. Whoever is behind the mask is armed with a high tech weapons and an exo-suit. And this may be the beginning of an even bigger battle for the soul of Star City. Arrow Episode 7.12 “Emerald Archer” will air on Monday, February 4, on The CW. What do you think about the new promo? Let us know in the comment section below!